Today's Taylor Swift Song is the meaning of the song "Getaway Car" from her Reputation album. This is one of my favorite songs on the album. Why? Because it is a fun poke at yourself, I do not care what anyone else says, basically Taylor at her best. It talks about two people in a getaway car. In the fourth line of the song Taylor lets on the whole relationship is just a ruse, "But I didn't mean it." She only got in the car because she "wanted to leave him" and "need a reason." It is about Taylor Swift, Calvin Harris, and Tom Hiddleston. Taylor was still dating Adam Wiles, aka Calvin Harris when she helped host the 2016 Met Gala. But she did not have her boyfriend with her on on of the biggest nights of her career. I think at that time they were already having trouble. She met Tom Hiddleston that night and danced up a storm with him. She references this in the song, "Think about the place where you first met me". This phrase can be literal, they met at the Met Gala ball, and symbolic. "The ties were black, the lies were white/and shades of grey in candlelight." He met Taylor when she was still with her boyfriend and she needed a way out. She was not entirely honest about the whole situation hence the lies. Tom and Taylor did not publicly get together until a month later. Taylor broke up with Calvin Harris on June 1, 2016. On June 13, 2016 Taylor and Tom were spotted kissing. They had a whirlwind romance, meeting each others parents that month. Tom went to Nashville to meet hers and Taylor went to England to meet his mom. Calvin Harris was not happy, and the usually silent about their relationship guy let it all come out on Twitter. He unfollowed her, deleted pictures of her and wrote some scathing tweets about her poisoning "the well". Taylor wrote a song with Calvin called "This is What You Came For" under the pseudonym Nils Sjoberg. He did not want people to know he had collaborated with her and even lied about it when asked by Ryan Secrest if he would ever collaborate with Taylor. On April 28, 2016 he said, "I can't see it happening though. No. She's about to take a long break." When it was revealed Taylor was Nils Sjoberg Calvin wrote a tweet storm "I figure if you're happy with your new relationship you should focus on that instead of trying to tear your ex bf down for something to do." My guess is this song had everything to do with Calvin and Taylor's break up. Taylor might have written the song with him, but they may have had the agreement he would reveal it when the song was released. Calvin decided he did not want Taylor's name involved with the song and decided to not tell anyone about it making her mad. And then they broke up. Calvin's tweets while she was dating Tom made it even worse, it was a "side show", and a "circus ain't a love story." Tom knew about all this, but went after her anyway, but anyone knows you should NEVER be the rebound guy. He was not "thinkin' ". But "nothing good starts in a getaway car." She hints their relationship was a little contrived and they received money for their pictures. They were "Bonnie and Clyde". When she decided to end it because her heart was not in it, she was just "drinkin' ". She left the "money in a bag" and got out of there. She turned him in. Tom had just done some interviews saying their romance was not for the cameras, but....it was. Tom only gets one song on the album, probably to explain why she went out with him in the first place. Taylor good for your for getting out of the getaway car as fast as you did. Tom seems nice, but it was not the right time to start a relationship. It seems you find the right guy finally and more on that in the other songs on the album. Click here to see the lyrics for the song "Getaway Car." 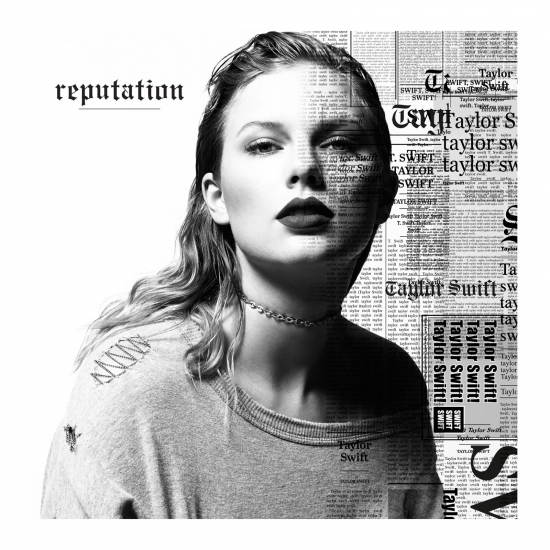 What did I think of Taylor Swift's Reputation album? That is one of the reasons I have been putting off writing this post. I have to say I am not the biggest fan of the album. I have come to terms with the fact that there will be more favorite albums than others from Taylor and I am perfectly fine with that. I hope Taylor if you read this know how much I still love you and care for you, but how it is okay if I did not love this album. Why is it not my favorite album? It is not my favorite album, because it is two albums in one. It is not sonically cohesive. Reputation is not lyrically cohesive either. Excuse me while I hold my head in shame. One of the messages is about anger and resentment and how she deals filled with harsh sounds. The other message is about her finding love filled with beautiful lyrics and sounds. "End Game" tries to be both of these concepts and loses badly. When I listen to End Game I enjoy the first verse about love and "end games" and then all of the sudden she breaks into rap about her reputation. And goes back and forth the whole song. Just separate the two I say. "King of My Heart" is also two songs in one, starting out nicely and then big and loud with weird sounds. It goes back and forth the whole song too. Every artist has an album or song like this. What kind of song or album is it? It is about being famous and the problems that go along with it. Britney Spears had the song "Gimme More". She talks about camera flashes and being the center of attention. This is that album for Taylor. She talks about a major fallout she had with Kanye West for most of the album and finding love on the big stage. The year 2016 was really harsh for Taylor. Not only did she break up with her boyfriend Calvin Harris very publicly, she had a major falling out with Kanye West and Kim Kardashian. Kanye basically said that Taylor owed him sexual favors because he made her famous. Taylor stood up for herself at the Grammy's in 2016, and rightly so. "I want to say to all the young women out there: There are going to be people along the way who try to undercut your success or take credit for your accomplishments or your fame. But if you just focus on the work and you don’t let those people sidetrack you, someday, when you get where you’re going, you will look around and you will know — it was you, and the people who love you, who put you there. And that will be the greatest feeling in the world." Why couldn't we have a whole album about this concept? Kanye and Kim came back later and said Taylor speech was hypocritical because she was okay with him saying she owed him favors because he recorded a phone call with her with him asking about it. Kim Kardashian and Kanye manipulated the situation (I think for ratings, isn't everything Kim K does for ratings) to make Taylor look like the bad guy. Why would anyone in their right mind be okay with their husband saying such a thing? Taylor was trying to be nice and not start a huge fight. But she does not need to be pushed around by him, no women should be pushed around or accept that as their fate. But because she said she was okay and then she decided she was not okay with him saying she owed him something, all of the sudden Taylor has a bad reputation. In this album Taylor describes Kanye West's constant, undeserving, belittling of her and how it makes her feel and how she gets past it. She was not the bad guy even though people said she did "something bad". Kanye was treating Taylor with disrespect and Taylor was not having it. This is what the whole #metoo movement is about. Women not putting up with men's crap. I think she missed the mark because she was too afraid to "blame" him, too afraid to come out and say hey no you can not treat me like that besides that reference. She mentioned it in "I Did Something Bad" possibly the best song on the album, "If a man talks S%$%, then I owe him nothing", but does not explore that message much more in the album. She focuses on her "reputation" too much in the album. The actual word is mentioned in the album in at least 3 or 4 songs and the idea of her reputation is mentioned in most of them. Taylor wrote this before the #metoo movement. I wonder how different the album would have been if she had written it after the movement came out. Would she have had the courage to call out the bad behavior more? The other message about finding love is epitomized in "Call It What You Want". Taylor says if people hate her, she is okay as long because she has a boy to love her. No Taylor! This song takes a step back from the independent strong nature of 1989 that was epitomized with the song "New Romantics", where she was fine being alone. People do not need love to conquer all. People can be okay without having to have some romantic interest. The Reputation Album may conveys the struggles that Taylor was going through at the time. Maybe if the #metoo movement had not been happening at the same time the album would have been okay. But it was. When I heard the album it did not resonate and made me want something more. I wanted the album to call out all those men, and all those that accepted sexual abuse/harassment as the norm and say, we are not having it anymore!!! We needed more songs like "I Did Something Bad" on the album and less songs about her reputation. I think she might have been afraid because of the repercussions after the Grammy speech. I hope Taylor is not too afraid in the future to talk about these concepts. We need it. Men need to know it is not okay to sexually abuse or harass women.